It's been an unusually cool summer for us here in Tennessee. I'm talking highs in the low 80s and lows in the high 50s. I run pretty cold to begin with, so I've been wearing lots of layers this summer. I normally wear this top in the fall, like I did here. I wore the same top in a different color here. I have to say, I'm loving being able to pair my flowy tops with light scarves, and I feel a little more put together than I normally do in the summer in tank tops and shorts. Clearly, I'm going to enjoy this while it lasts, because let's be honest, it'll be 100 degrees with 90% humidity before you know! Linking up with Fizz & Frosting, Lipgloss & Crayons, and Style Elixir. 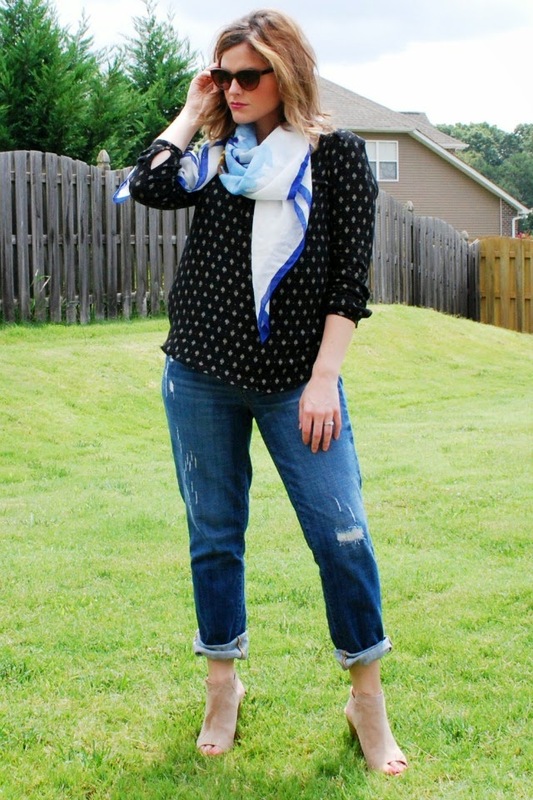 This is such a cute, breezy look! 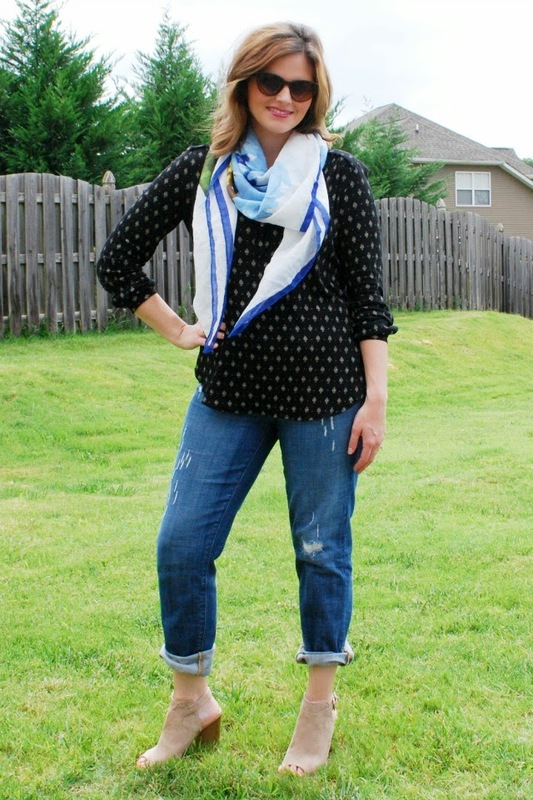 The flowy top and scarf are still summery and perfect for cooler days! Love those heels! We are already that hot, love your jeans- fit perfectly. What a fun top. Love how you brightened it up with that light blue scarf. Visiting from Funday Monday linkup!